In 2017 we acquired GroupMind—a product suite that helps a facilitator, team leader, or manager run effective remote strategy meetings, align decisions, and optimize performance. Think of it as social learning on steroids. GroupMind tools drive efficiency and most importantly, engagement. Collaboration: Generate ideas, prioritize, and present the results to your group. 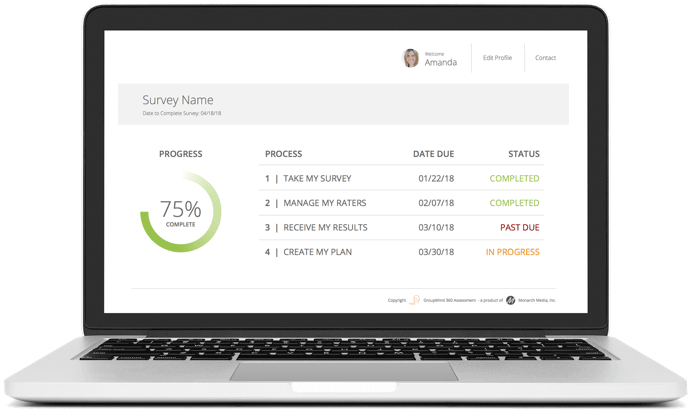 360 Assessments: Leverage existing GroupMind question sets for either Leadership Development or Culture Assessment – or develop your own. Case-Based Learning: Our case-based learning environment facilitates social learning. Participants see information in a new way and engage with in-person and virtual colleagues to gain greater understanding of the content presented.